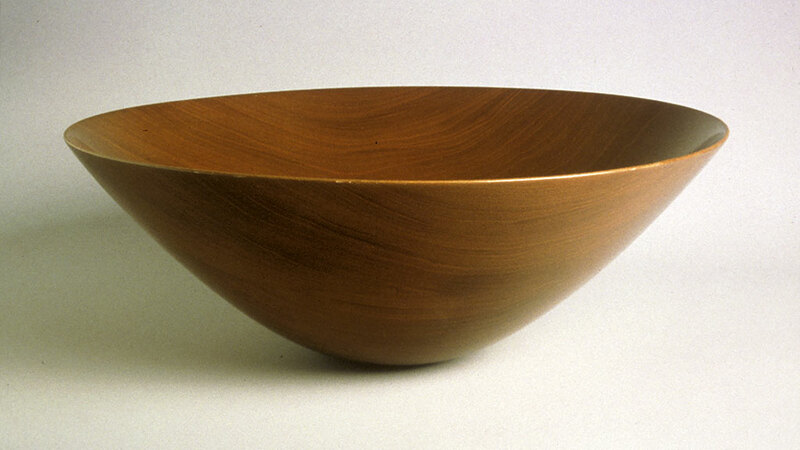 James Prestini (1908-1993) was a woodworker who worked in the Bauhaus tradition; blending craft with function. Though he began his career as a mechanical engineer, studying at Yale University and the University of Stockholm, he also attended Chicago’s Institute of Design and was the Design Education Consultant to the German government in India and the USA. 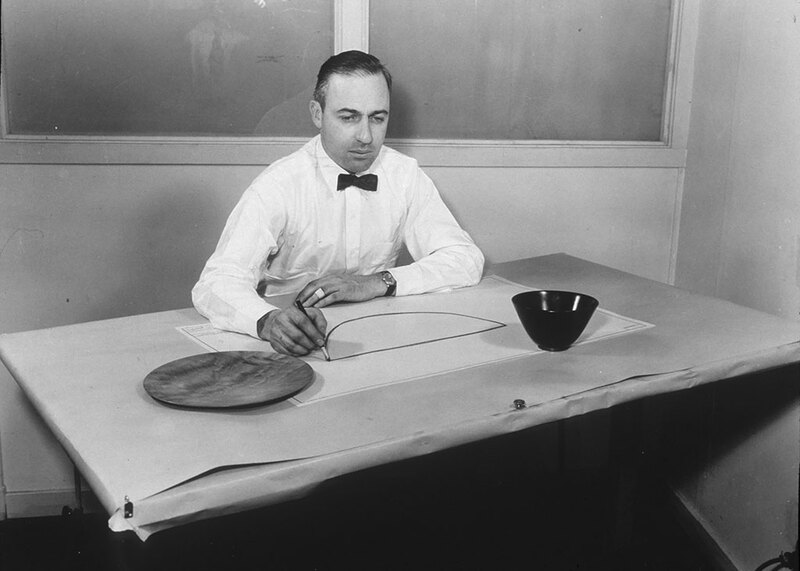 From 1933-1953 he became most well known for his turned lathe bowls, so thin they appear to have qualities similar to that of glass or ceramics. He also produced experimental furniture and over 400 sculptures over a 50 year career while a professor of fine arts at the University of California, Berkeley.